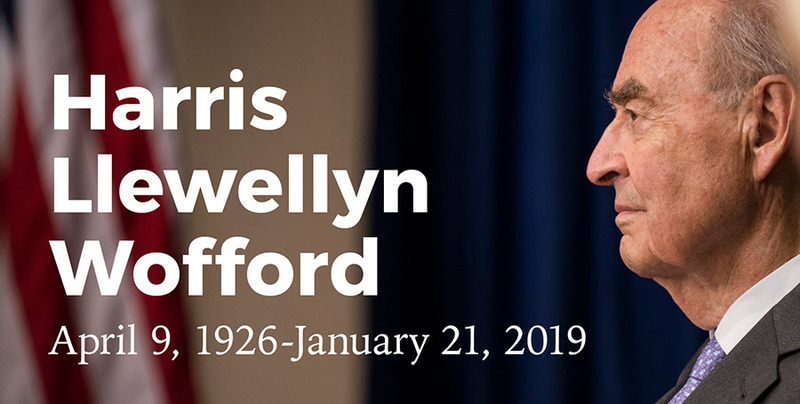 Please join family and friends to celebrate the remarkable life of Harris Wofford on Saturday, March 2, 2019 at 2:00 pm. The service will be held at Cramton Auditorium, Howard University (2455 6th Street NW, Washington, DC 20059). If you plan to attend, please email rsvp@voicesforservice.org. We also invite you to share a story or anecdote of how Harris Wofford impacted your life. In particular, we are interested in personal stories of when you met Harris and how that shaped or transformed your life or career. Submit your story here.